No time wasted in getting going in Dubai, where probably the biggest upset was qualifier Chanelle Scheepers (apparently pronounced ‘Skeppers’, at least according to the Eurosport commentators) upsetting Maria Kirilenko in straight sets. 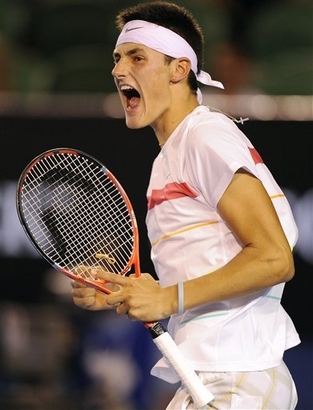 Scheepers was on really sharp form and Kirilenko … was wearing shorts, which looked nice. Alisa Kleybanova came back from the brink of defeat against Anastasia Pavlyuchenkova, in what was an all-too-familiar Pavs tale; unable to close out the match from a commanding position, she utterly collapsed in the third set. 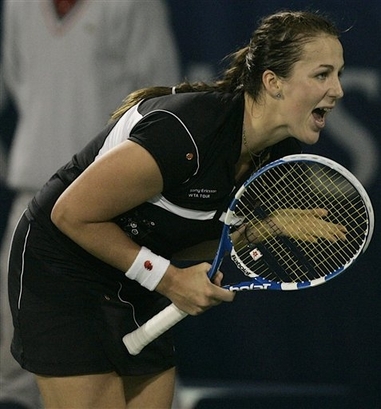 I still think Pavlyuchenkova has all the game in the world, but she has to improve her movement so that she can defend her way through a rocky patch, otherwise this is just going to happen again and again and again. Here endeth. 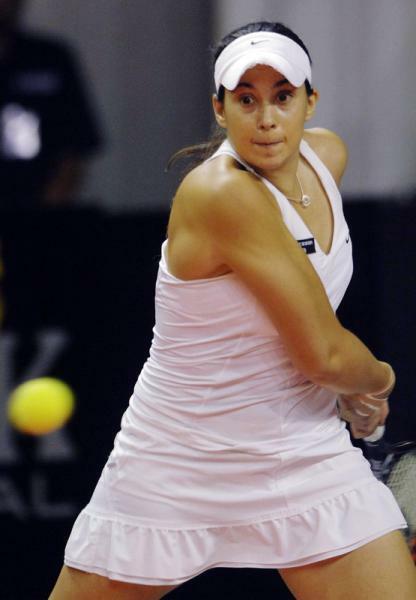 Speaking of improved movement, a back-from-injury Marion Bartoli beat Kimiko Date-Krumm. And we all know how an in-form Marion can lend a frisson to things. Go Marion. Memphis saw a seed massacre in a not-particularly-strong draw, as lucky loser Alexandra Stevenson accounted for second seed and defending finalist Sofia Arvidsson, fifth seed Olga Govortsova went down to a qualifier (in what could be a stroke of luck for Heather Watson, now facing Foretz Garcon in the second round), and top seed Barbora Zahlalova Strycova lost to big-serving Michaella Kraijcek. On the plus side? Wins for Melanie Oudin, Rebecca Marino and last year’s semi-finalist Anne Keothavong. Up the British. In Bogota, I talked up Simona Halep and she promptly lost to Mathilde Johansson. And Annabel Medina Garrigues lost too, to Colombian wildcard Catalina Castano. What has happened to AMG of late? Not much to report on the men’s side. 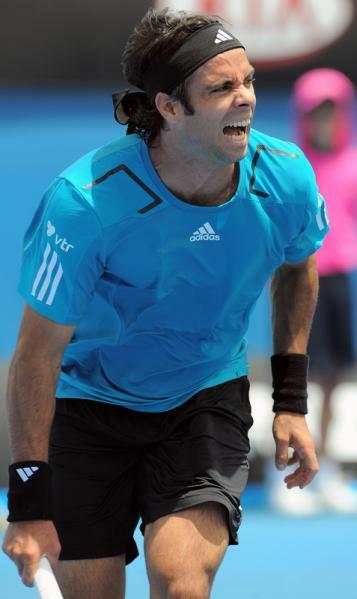 Grigor Dmitrov lost rather disappointingly to Dmitry Tursunov in Marseilles, and that’s about it. Full results under the cut. And now for the distaff side. Strawberries-and-cream vs. upturned rose (apparently), one of these women has looked in devastatingly awesome form so far, and the other is Maria Sharapova. Admittedly Maria has won all her matches in straight sets, but the only one I’ve watched (against junior nemesis Barbora Zahlalova Strycova), she looked clumsy, sluggish and tentative. I’ve no doubt that she will get it up against Serena, but I still think this match might turn out to be a bit of a damp squib. Prediction: Serena in straights. It’s been a quiet Wimbledon for both these ladies so far and I haven’t seen either of them play (although we all owe Na Li a vote of thanks for getting rid of Anastasia ‘toys so far out of the pram they have been adopted by other kind homes’ Rodionova). I’m going with Agnieszka, because her game works beautifully on grass and she’s a two-time quarterfinalist in SW19. Prediction: Radwanska in three. Kvitova has had one of the most eye-catching results at this tournament so far, coming back from a break down in the first to not just defeat but bagel Victoria Azarenka (oh, Vika). That will have given her a lot of confidence, but you can’t really bet against slow-and-steady Caroline, can you? Sadly. Prediction: Wozniacki in straights. There are some players that I just get irrationally annoyed when I see them win. These are two of them; Zakopalova because she’s got a sour expression on her face even when she’s winning, and Kanepi because you can never tell from tournament to tournament which one of her is going to turn up (and when it’s Good Kaia, she generally announces her presence by beating one or more of my favourites). However, both of them are on excellent mini-runs. Zakopalova has beaten Meusberger, Rezai and Pennetta; Kanepi, Sam Stosur, Edina Gallovits and Alexandra Dulgheru. On the basis that the former is a shade more impressive and I don’t really care, I’m going with Zakopalova. 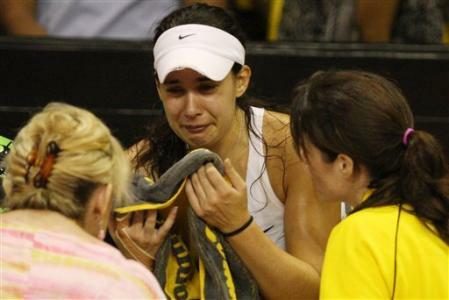 Prediction: Zakopalova in three. She won’t smile. The other match to look forward to, particularly if you’re one of those who bemoans the last few years in the WTA. 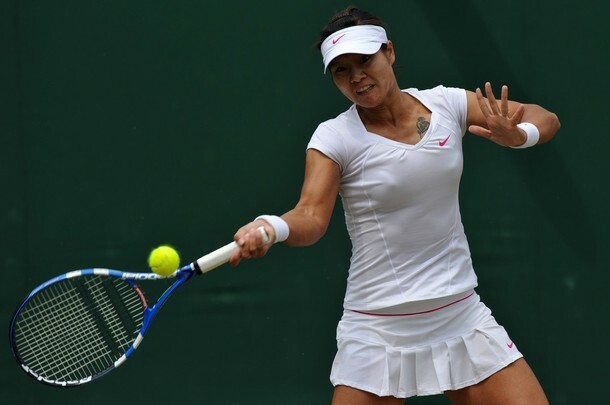 Kim has cruised so far and looks in some ways ripe for an upset, while Justine has played as well as anyone in the tournament in her defeat of Nadia Petrova. Still, I think that Justine wants this too much and that, coupled with the changes she’s made to her game this year which still don’t seem to sit right, will cost her. Prediction: Kim in three. Vera has been quietly coming through in the bottom of the draw, largely unheeded with solid wins over unspectacular opponents until the third round when she demolished Yanina Wickmayer. The buzz is that she finally feels that she’s got her form back. JJ, meanwhile, after her win over Laura Robson, dropped a set to Aleksandra Wozniak and called the trainer after bagelling Alona Bondarenko. Not to mention that this court will be played on court 12, which JJ will need a helicopter or at least a team of Sherpas to find. Prediction: Zvonareva in two. 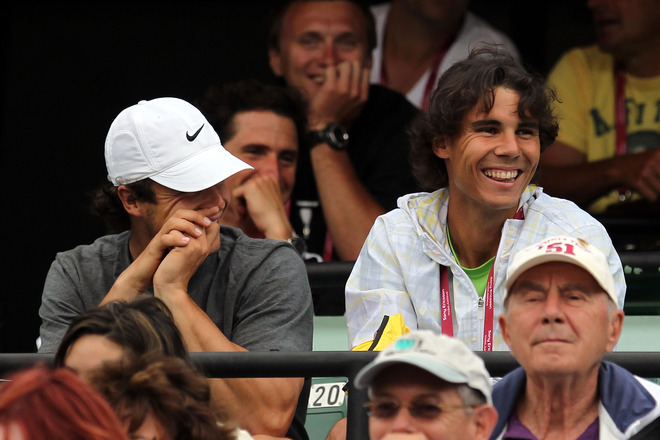 Every Slam I reckon there has to be one round-of-sixteen match-up which makes you go, “… how did this happen?”. This is mine. 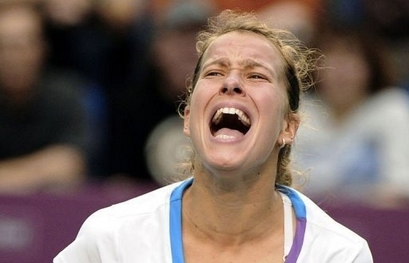 Er, Pironkova beat Dushevina who beat Schiavone, and Bartoli is a former finalist, so …. I don’t even know. 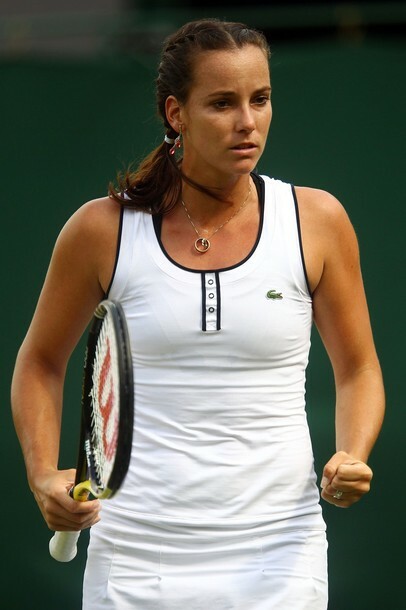 Prediction: Bartoli in straights. 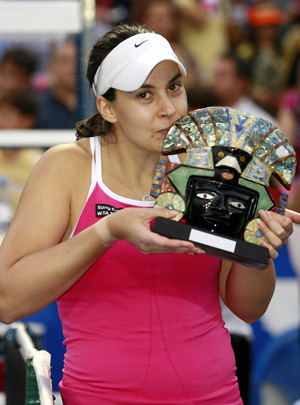 It’s been a very nice tournament for the adorable Jarmila. Shame it’s over. Prediction: Venus in straights. So that’s what I think. What do you reckon ..? 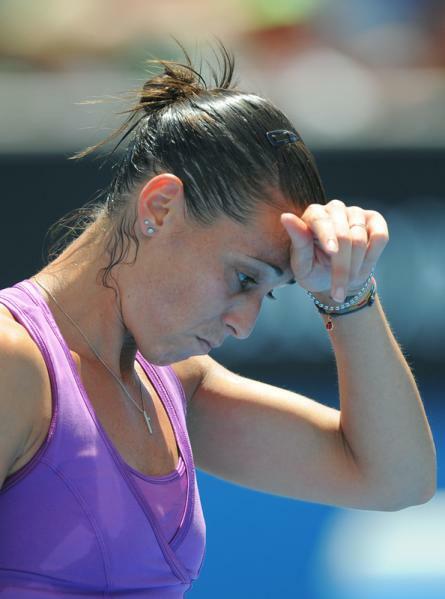 An ailing Svetlana Kuznetsova was comprehensively trounced by Marion Bartoli, 63 60. I know Marion is a tough match for anyone on her day, but dear oh dear. There’ll be some incomprehensible twattage tonight. Poor Sveta. Also racking up the comprehensive victories? Agnieszka Radwanska, 1 and 4 over Yaroslava Shvedova, and Yanina Wickmayer, 0 and 1 over Timea Bacsinszky. 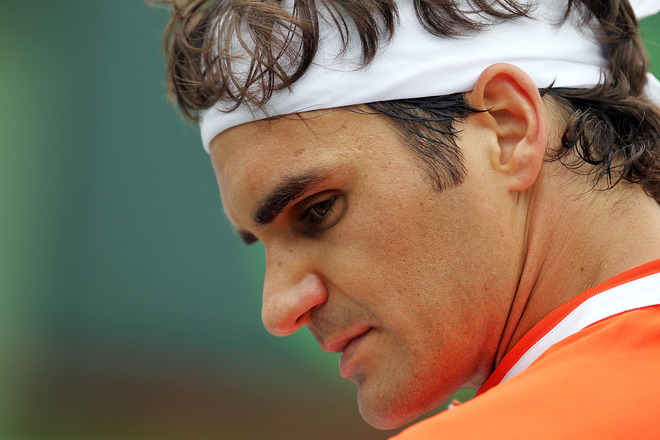 Meanwhile, Roger Federer and Tomas Berdych will meet in the fourth round after Roger made somewhat heavy weather of Florent Serra, needing two tiebreaks to win despite being 5-3 up in the first set and 4-1 in the second. Quiet week ahead as the ladies gear up for Indian Wells and Miami. Not at all a bad field for this international. Top seed and wildcard JJ doesn’t have the easiest draw, starting off with Sevastova and probably having to contend with Iveta Benesova in the second round and Wozniak in the quarters. Alize Cornet will also be sucking and failing in this quarter. She will hopefully face Anastasia Pavlyuchenkova, who made her name by beating her at Indian Wells last year, who should – fingers crossed – be able to contend well with everyone in her quarter, but then you never know with Pavs, do you? In the bottom half of the draw, we should hopefully see a good quarterfinal clash between Hantuchova and Lucie Safarova, while Cibulkova has a loaded quarter including Agnes Szavay, Anna-Lena Groenefeld, Lucie Hradecka, Sara Errani and Sorana Cirstea (who will be losing to Sara Errani in the first round and therefore doesn’t really count). 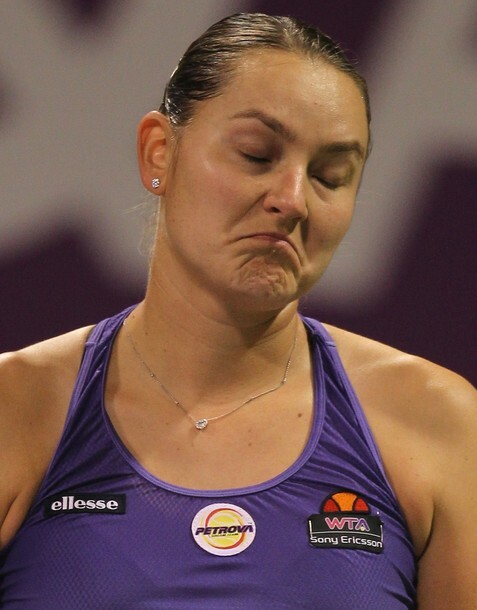 It’s all fun stuff, although we probably won’t get to see any of it, and frankly if JJ loses to anybody except Safarova or Pavs, I will be despairing of her. Were it anything other than a slow week, I wouldn’t mention this nonsense. But it is, so: Kim Clijsters, Svetlana Kuznetsova, Venus Williams and in-for-an-injured-Serena Ana Ivanovic will be battling it out (except not really) for $1.3 million and the Billie Jean King cup on Monday night. So now you know. Out to Shahar Peer in Dubai. Out to Agnieszka Radwanska in Dubai. Out to Venus in Dubai. Out to Li Na in Dubai. 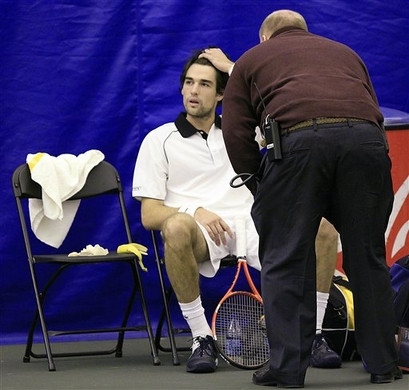 Forced to retire against Shahar Peer with back pain. Out to Vera Zvonareva in Dubai. Out to Victoria Azarenka in Dubai. 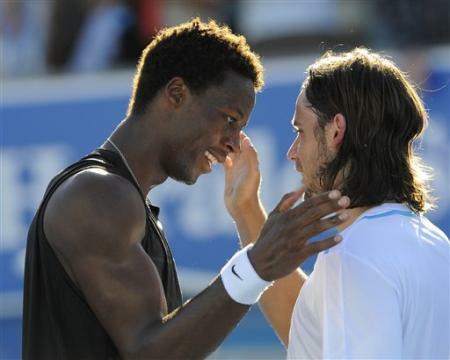 Forced to retire against Lukas Lacko in Memphis after beating Fernando Verdasco. Lost to Sofia Arvidsson after a promising beginning to the tournament. 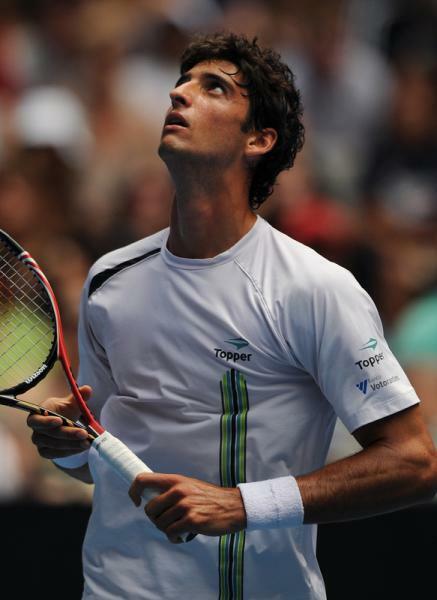 And … Radek Stepanek (Memphis), Fernando Verdasco (Memphis), Nicolas Almagro (Buenos Aires), Gilles Simon (Marseilles), Richard Gasquet (Buenos Aires), and probably many more I forgot to mention. It took Marin untold hours and absurd amounts of effort to beat a small child with swine flu. Aravane was dismissed by Angelique Kerber, thus making the Australian Open 1% more fashionable and at least 3.7% less awesome. 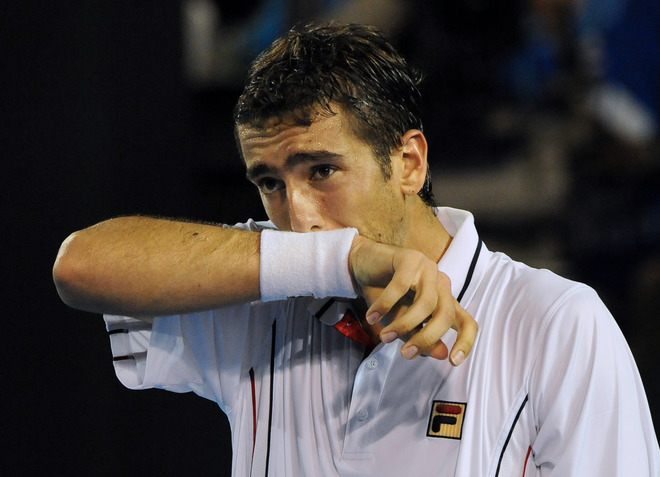 The eternal sad puppy that is Pavs was given a thorough kicking by Kuznetsova. Gonzo won. In an angry fashion. La Monf continued his winning ways. Flavia was shown the door. 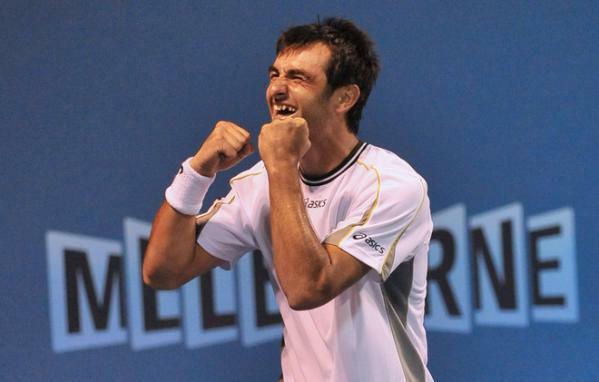 But by Wicky, so it was OK.
Florent Serra backed up his upset of Jurgen Melzer by beating Jarkko Nieminen. Has Marion been wearing the same kit for about three years, or what? The Passion of the Nose Job. I love this outfit. I don’t know why, because it’s disgusting. Anyway, she won. 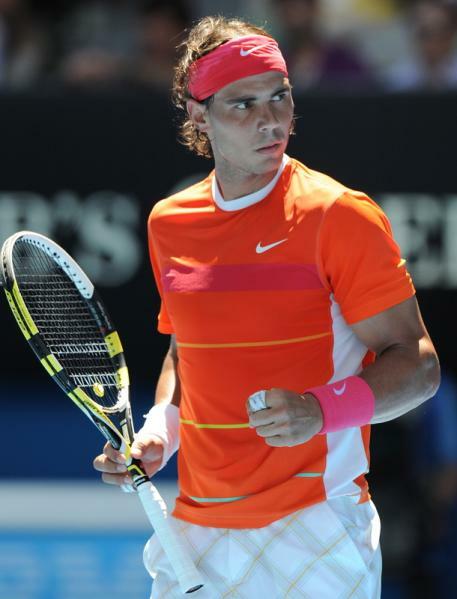 Have an attractive photo of Rafa. No hate mail for me today! Like looking into a mirror. And having your reflection repeatedly beat you. F Serra (FRA) d J Nieminen (FIN) 36 64 57 76(4) 75 – Saved 2 M.P. Could you make it up? Probably. 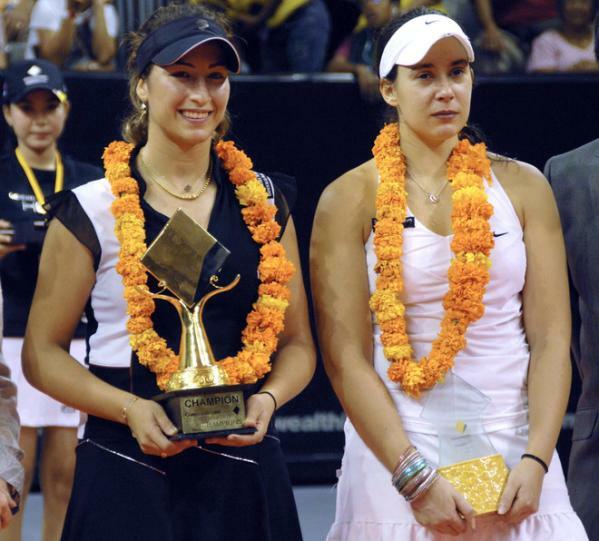 Aravane Rezai takes the Bali title after her opponent Marion Bartoli retired with a left quad strain, 57 down. 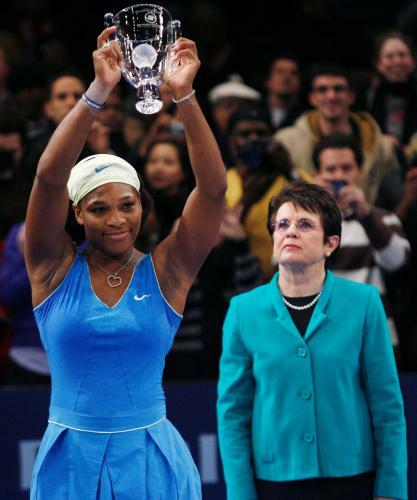 Shame for the last WTA action of the year to end with a retirement, but there you are. In Marion’s defence, she was clearly in genuine distress. If I had a wishlist for 2010, it would definitely include Marion doing whatever it is that’s needed to sort her body out. Still, huge congratulations to Rezai, who’s had a great year and will finish inside the top 30 thanks to this win. Well deserved. You can find a nice piece on her, including life on tour as a Muslim, here. And it just wouldn’t be Aravane if she didn’t dress for the occasion …. Marion Bartoli and Aravane Rezai are set to face off in tomorrow’s final in Bali after defeating semi-final opponents Kimiko Date-Krumm and Maria-Jose Martinez Sanchez respectively. Both have gone undefeated in the tournament so far. It should be an interesting meeting; both are huge ball-strikers, and Marion doesn’t seem too popular with her compatriots (based on Razzano’s comments c. Eastbourne, anyway). Allez to both.